A radio found within the Yamijima Mining company building in the scenario "-1:00 Fleeing". It begins working again when Kanae inserts batteries, and from it you can hear the news of a "record rainfall in the Misumi County area". This level, in which the young Shu Mikami and Kanae flee from the raid by Ohta's group, takes place on 2 August 1976. This heavy rain falling around Misumi County is related to the later landslide that hits Hanuda Village, the setting of the first game. Due to the long spell of rain, the "mass disappearances" that occurred in the wake of Kei Makino's adoptive father, the former Guiding Priest Reiji Makino, failing in the ritual appeared to the outside world to be a natural disaster that swallowed the village. The night young Shu and Kanae flee from Tsuneo Ohta's attack on the Mikami house, several dramatic events unfold in Hanuda Village of Misumi County also. The static, or perhaps the eerie screams of a strange creature, mixed in with the voice reporting the radio news may perhaps be natural considering the events of that night, the two locations of Yamijima and Hanuda becoming entangled in the Other World. 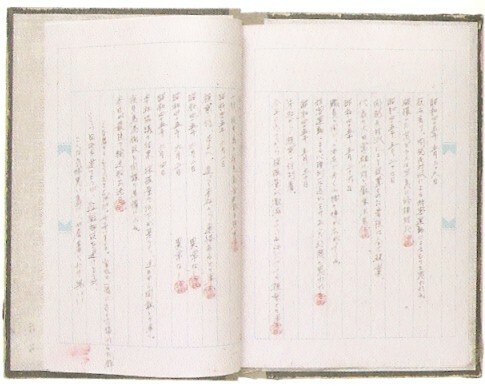 A worker's journal that was left in the Yamijima Gold Mining building. This item shows in great detail the events between Yamijima Mine at its peak output and its closing down. 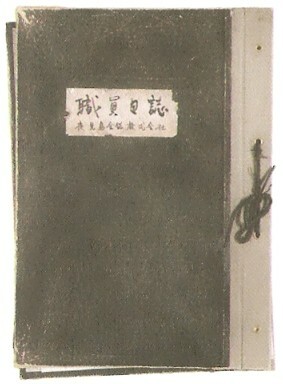 From the signature, you can see that the journal was written by a person with the surname "Ikeda". "Harrassment by Tsuneo Ohta and the others who oppose the development", "rumours of a wild cat that walks on two legs (yamipikarya)", and the crucial "decline in ore output"... However, the most important factor in deciding that the mine be closed down was possbility the "inexplicable creepiness" each of the workers who had moved to Yamijima felt. Though Ikeda writes the log in steady pencil strokes, the words "However many apartments or amusement parts they build it's useless! There's no way people can live on an island as creepy as this!" show the psychological pressure that being stationed on Yamijima caused him, and his joy at being released. What should be noted here is the existence of the journal's writer, Ikeda. Though mentioned in more detail on archive [No.089] Mamoru Itsuki's Notebook, the name of the girl who was once Itsuki's classsmate and attempted suicide due to suffering from bullying was Mai Ikeda. Bullied for the birthmark on her chest, this is actually the exact same situation Ikuko Kifune was in. It is possible that, using her mother (the wife of Ikeda who wrote the log), who must once have lived on Yamijima, as an intermediary, the seeds of a dove were sown inside her. Shows the actions of the islanders who were opposed to the continuing development of Yamijima, centred around the mine. Naturally, the leader is the head fisherman, Tsuneo Ohta. 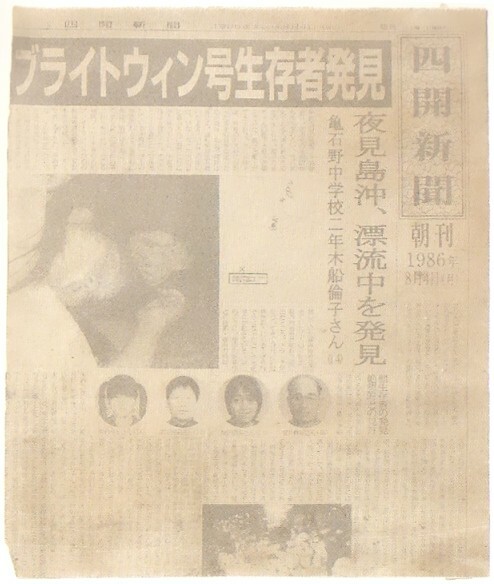 A newspaper article reporting on the rescue of the sole survivor of the disappearance of the Bright Win, Noriko Kifune. The same information can be found in archive [No.010] Shikai News, but this was done to cause it to be misinterpreted due to the story's construction that it was Ichiko Yagura who was rescued from the Bright Win. In order to properly interpret the side story published on the website, "Mystery of the Bright Win", you need to clearly realise that it is Noriko Kifune, an important person who later gives birth to Ikuko Kifune and Ryuko Tagawa, who is the one who is rescued safely. Continuing on from the previous game, the ability to obtain information from seeing "visions" through other people is used, but according to legends told on Yamijima the strange ability to have visions is the power of "the ancient ones who lurk in the depths of the earth". It seems to have been the ancestors of the Ohta family who compiled this knowledge into an ancient document. Though it is said that usually notes aren't written in police notebooks, Fujita's contains various memos and thoughts. Fujita leaves Yamijima with lofty ambitions, but immediately afterwards loses his mother and his father passes away, and in spite of this he does not return to the island. This may be why the conservative Tsuneo Ohta refers to him as an "idiot son". Incidentally, the reason behind Fujita's solo return to Yamijima was hearing information that a young woman had been seen there; this young woman was Offshoot B (a dove) who once showed up on the Bright Win, who was seen by a fisherman. The dove, sent from the Other World, was spotted by chance.